Prada Linea Rossa eyewear is a vibrant collection of sporty performance frames that are infused with the sophistication and elegance for which Prada is famous. Prada Linea Rossa combines innovative designs and modern lens technology to create sleek sun and eyeglasses that are as durable as they fashionable. The Prada Linea Rossa collection, easily recognized by its signature red stripe, is the perfect collection for active individuals who demand both performance and luxury. Due to manufacturer's restrictions, Prada products cannot be shipped to Australia. Prada Linea Rossa PS 54SS is a Full Rim frame for Men, which is made of Metal. 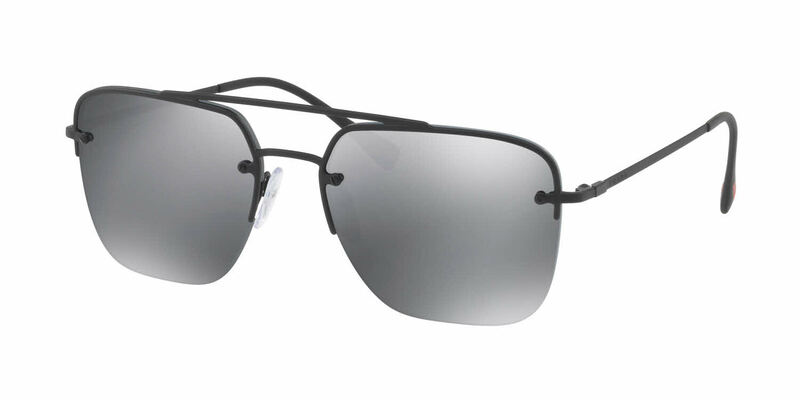 Prada Linea Rossa PS 54SS Sunglasses come with a cleaning cloth and protective carrying case.